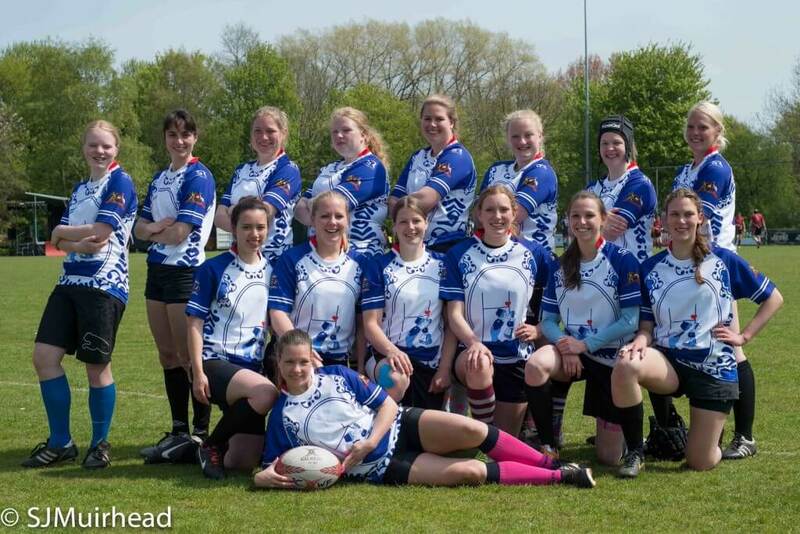 De Foiste Moiden is a woman’s rugby team which hail from the Netherlands. Each year they send a team to the Ameland Beach Rugby Festival which is held annually in the month of June. Beach rugby is a sport that can be based on either of the rugby football codes, league or union. There is no centralized regulation of the sport as in beach soccer or beach volleyball, but festivals are becoming very popular. Casual games are played across the world using different sets of rules and most of the time the area’s used are a fraction of the size of a standard rugby field with fewer players, shorter matches and a simplified scoring system. Stud Rugby manufactured a custom themed shirt based on the Dutch Heritage for De Foiste Moiden this year.